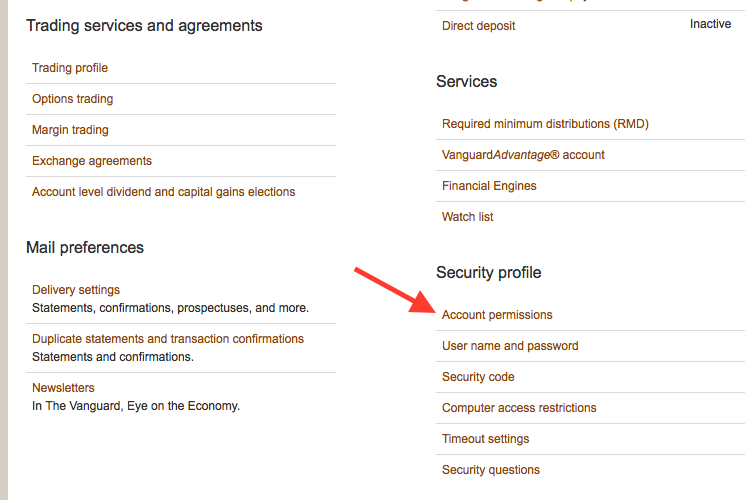 My wife and I both hold IRAs at Vanguard.com, and we each have our own usernames and passwords. This used to work out fine – I would login to either one when I needed to update our portfolio-tracking spreadsheet. But after enabling two-factor authentication, it became a nuisance as the security code would be sent only to her cell phone and she’d then have to forward it back to me within 10 minutes. I’m sure we are not the only household where one person wants to view their spouse or partner’s investment information. There are now two ways to deal with this situation. 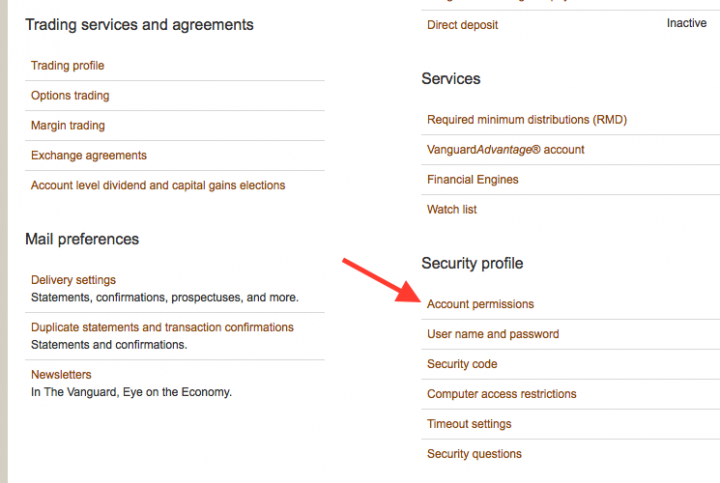 Vanguard now allows you to add a secondary phone number for two-factor authentication. You can now add a second phone number and choose between receiving your security codes by voice message or text message. This way, both my wife and I will get a text when either of us logs into one of our accounts. Vanguard lets you grant direct view-only access another Vanguard account holder. 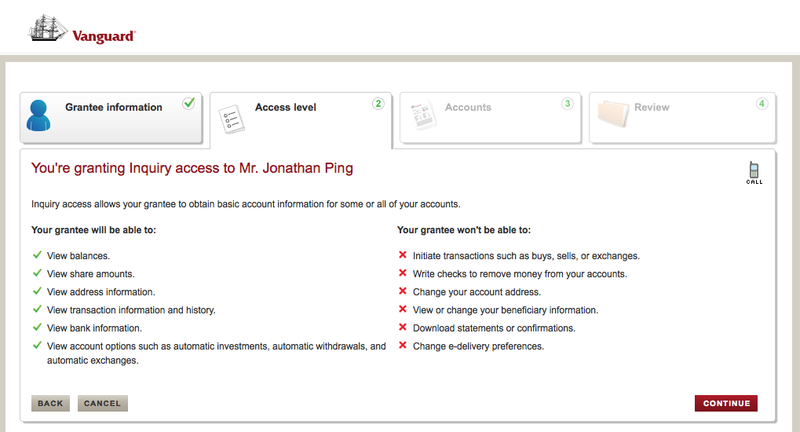 With this option, now my wife’s IRA holdings show up on my primary account view right next to my own IRAs. So convenient! 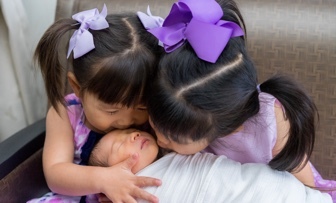 As the family’s CIO, I now only have to log into the other account to make our annual IRA contribution. This is exactly what I’ve wanted for a while. Since we were already joint owners on a taxable brokerage account, the process was quite streamlined and only took a few clicks. Otherwise, you may need to provide the full name, account number, and other personal information in order to identify the correct target account.